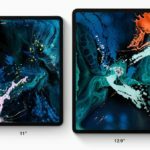 Apple has just launched the new iPad Pro (2018 edition) with 11 and 12.9 inches. This range is one of the best-looking ranges along with a stunning, much brighter and a powerful display. These machines are the strongest of the range and also come with a plethora of specifications. The iPad is receiving stellar reviews across the board, everyone is praising it as the best tablet in the market. You also get an upgraded A12X Bionic Chip which is powerful and supports excellent graphics. The camera and the battery life are also quite impressive. The best of the range does deserve the best of the accessories. 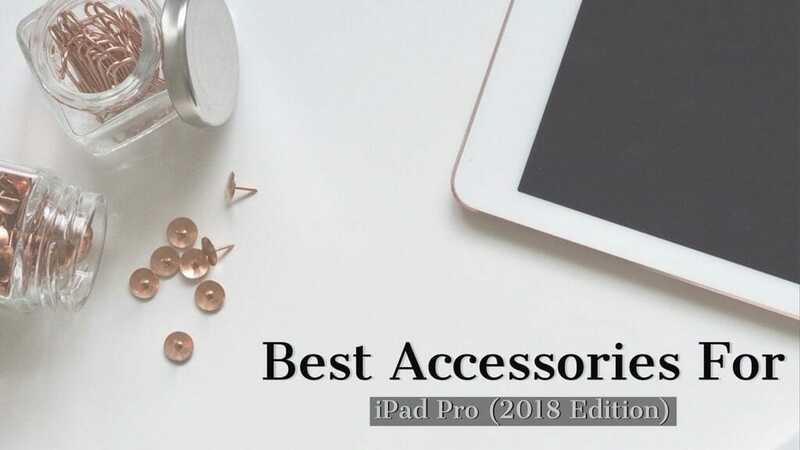 Therefore, we have compiled the list of Best accessories for iPad Pro and some of the Best Cases for iPad Pro available in the market. Here’s a list of the Best Accessories and Cases for iPad Pro which you can buy from the market. 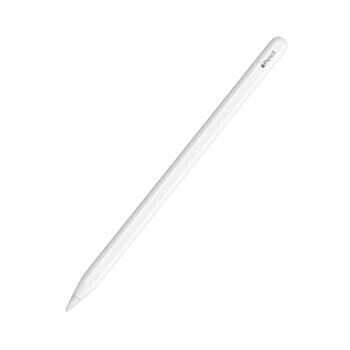 One of the best accessories for iPad Pro, the all-new Apple pencil is better, faster and precise than the previous 1st generation edition. The 2nd edition offers wireless charging and the pencil can also be attached to iPad Pro magnetically. It is intuitive in its technique and thus all you need is a simple double tap to switch between the tools and applications. The strokes needed for drawing, making notes and writing are sharper and faster. It is compatible with the all-new iPad Pro 11 and iPad Pro 12.9. It is one of the must-have accessories for iPad Pro as it completes the iPad experience. 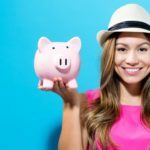 You can use it with the help of paint apps, note-taking apps, image editing apps. This is one of the best cases for iPad Pro especially for people who are clumsy and are fond of traveling frequently. They have also updated it for iPad Pro 2018 edition so you can easily charge and attach the Apple Pencil. 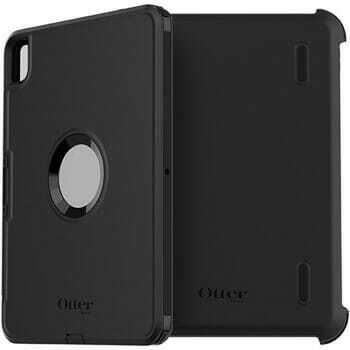 This protective case from OtterBox is designed to fit your new iPad Pro precisely. It is made up of synthetic rubber which saves your iPad from impromptu falls and also includes a screen protector which protects your screen from scratches. It also includes an additional compartment to store your all-new Apple Pencil. In addition, it also includes a built-in stand which acts as a double layer screen protection when you’re on the go. 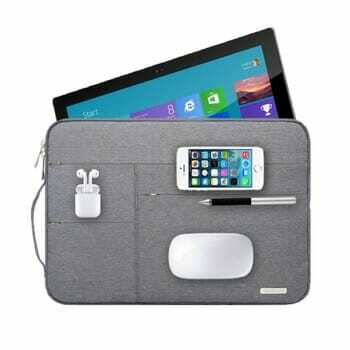 If work is something you love, this accessory is perfect to show off and store all your workplace gadget needs. Firstly, this bag is waterproof as well as drop proof. It is compatible with devices up to 13.3 inch which means you can store your iPad 12.9-inch tablet along with a MacBook. You can open the bag up to 180-degrees and it comes with multiple pockets to store your phone, earphones, charger, visiting cards, brochure etc. It also has an additional back-pocket for extra storage. The bag is simple, light in weight, slim and also scratch proof. It is available in black, grey and navy blue colors. Though iPad Pro has reduced in size, it will still take a toll on your hand if you try to hold it longer. This stand will make sure you can enjoy your movies and media on the gorgeous screen of iPad Pro. You can use this stand on the table as well as on the wall in the same manner. Just attach your iPad Pro and use your iPad for a long time. You can get the stand in two different shades – White and Black. It comes with 2 mounting bases which you can attach in your kitchen or cabinets. 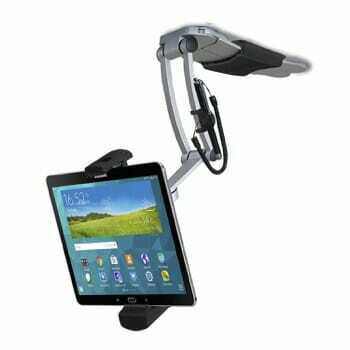 The stand has two legs which allow you to place it easily on flat surfaces. The holder has one-click release button so that you can easily attach and detach the iPad Pro. Also, you can rotate it 360-degrees so that you can set it according to your liking. The all-new iPad Pro 11 inch and 12.9 inch – both the devices work on excellent graphics when it comes to gaming. 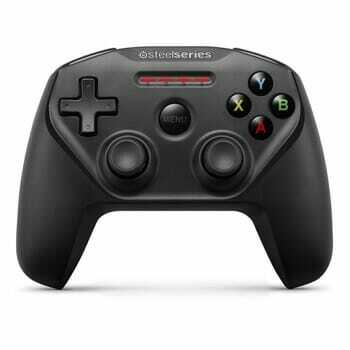 The Nimbus SteelSeries wireless gaming control promises to take the gaming on the next level. It comes with a pressure sensitive control and a console-style left and right trigger to give the right gaming experience. Connect it to your new iPad Pro and play the games like Asphalt or Modern Combat. The charging is via the lightning connector which gives you the advantage of a 40-hour gaming session. Also, it has 4 LEDs on the controller which displays your gaming status in a multiplayer game. It is compatible with Apple TV, iPhone, iPod touch, Mac and iPad. New iPad Pro has a USB-C port rather than Apple’s regular Lightning Port. 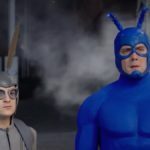 This means it can connect to a lot of new accessories which was not possible earlier. An external monitor is one of those. 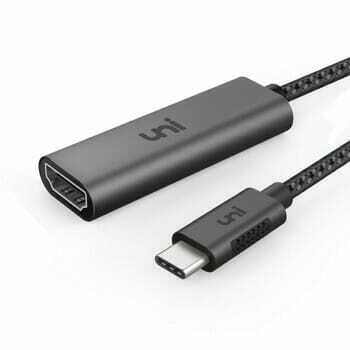 You can buy the USB-C monitor but usually, they are expensive than the normal HDMI monitor. This is where this Adapter will help you, you can still use any of the existing monitors and connect it to iPad Pro. You can not only use this adapter to connect your iPad Pro but it can also work with MacBook and other USB-C devices. It can connect 4K monitors at 60Hz refresh rates to give you lag-free experience. 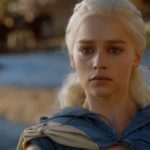 iPad Pro can support up to 5k monitors with the help of USB-C connection. So go ahead and take your pick of an external display which you want to use with your new iPad Pro. This is another one of the accessories which complete the iPad Pro experience especially if you are looking for 12.9 inches iPad Pro. The folio not only protects your iPad but also provides an easy access to keyboard and kickstand. You do not need any external batteries or any other extra power source with this folio. 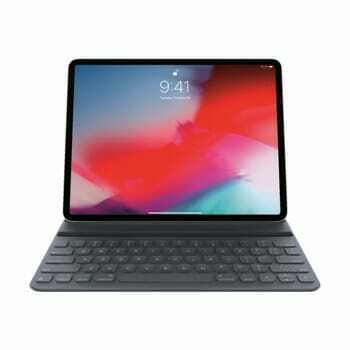 The keyboard connects seamlessly to the iPad Pro with the included connectors and gives a full-size keyboard. iPad Pro still needs some work to replace the computers but if your main usage is internet surfing, games, and social media, it can be a primary machine for you with the keyboard folio. The only thing which it can’t do right now is coding, so still not a primary machine for developers. This is a very cool and one of the Best accessories for iPad Pro. It does the function of three types- USB port, Type C USB Cable and a 64GB MFI certified lightning. It comes in three storage types- 32 GB, 64 GB, and 128 GB. It is compatible with your iPhone too which can be connected easily for various purposes- eg- take a photo and easily store it in the drive. It can also be used as a desk fidget spinner and as a necklace. It is trendy and fun to use and light in weight. It also has an application for Apple users called iUSB which can be downloaded using the barcode. It supports almost all the available formats for music, videos and allows you to record and store them. Considering that Apple charges a premium for providing the additional storage, this can be a good accessory for your iPad Pro. Though iPad Pro has good battery life there are times when you want to use it for extended periods. It is particularly true on travels where you won’t be able to charge your iPad for a long time. Aukey power bank cannot only charge new iPad Pro’s but any other device by including USB-A and Lightning port. It can recharge your iPhones and other gadgets along with iPad Pro. 20000mAH backup will make sure that you can even fully charge your 12.9-inch iPad Pro to at least once. It can charge your iPhone’s 6-7 times. 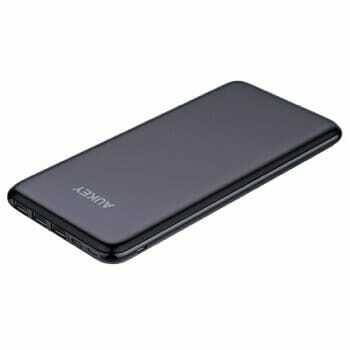 So if you on road most of the time and want some power backup, go ahead and buy this power bank. Now iPad also has moved to USB Type C connector which means you need to upgrade your car chargers to support it. 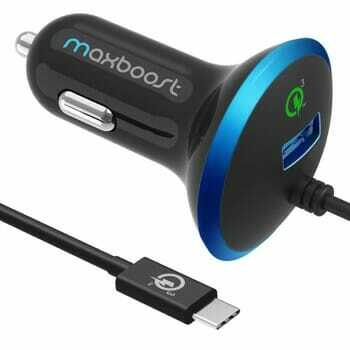 Maxboost 36W car charger can easily charge your iPad Pro and you don’t need to carry your wire. It comes with an integrated Type C wire which can charge all of your USB C gadgets including Macbook. 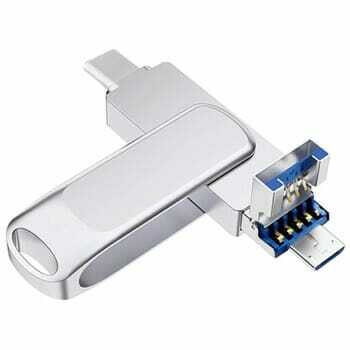 It is Qualcomm 3.0 quick charge compatible, which can charge your compatible gadgets faster. Soft LED ring allows you to easily find it in the night time. You also get a fast charging USB A port which can charge iPhone or any other gadgets. This is one of the best accessories for iPad Pro if you travel a lot with it and would need to charge it on the way. So, this was the list for some of the best accessories for iPad Pro and some of the best cases for iPad Pro. Everyone likes their gadgets when complimented with the right accessory. Don’t forget that they need an equal amount of care and love as much given while handling your all-new iPad Pro.